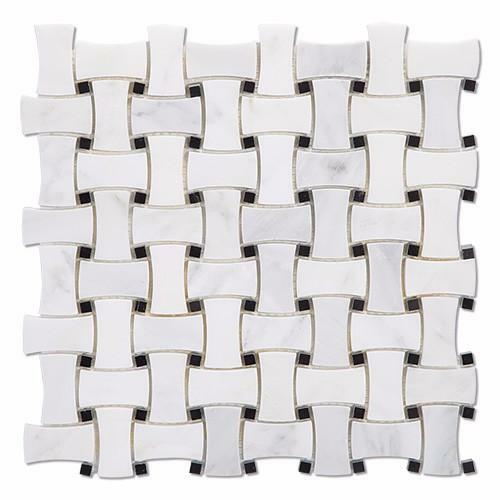 Bianco White Carrara Marble Basketweave with Black Dot Mosaic tile for your Bathroom and Kitchen Remodeling Projects. Mosaic Pieces are meshed on 12 x 12 Sheets. Honed Finish. Best suited for both residential and commercial projects. Perfect for use in any interior / exterior (residential or commercial) project (e.g. 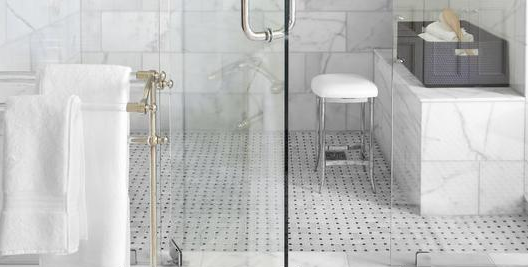 kitchen backsplash, bathroom shower floor or wall, pool surround, spa, fountain, barbecue, etc.). Please note that natural stone does vary in pattern and color, so each piece will be unique, which is part of what makes natural stone such a beautiful and interesting material. Samples are highly recommended for a better assessment of the current batch of this product before commitment to a larger purchase. (Even though we do everything we can to truly represent the overall colors / shades of the current batch of the product with our product photos, due to various monitors and settings, it may not be directly possible to view the exact shading / coloring characteristics of the material entirely on your screen. Therefore, current actual samples should be obtained and approved before committing to a larger order). We're factory. 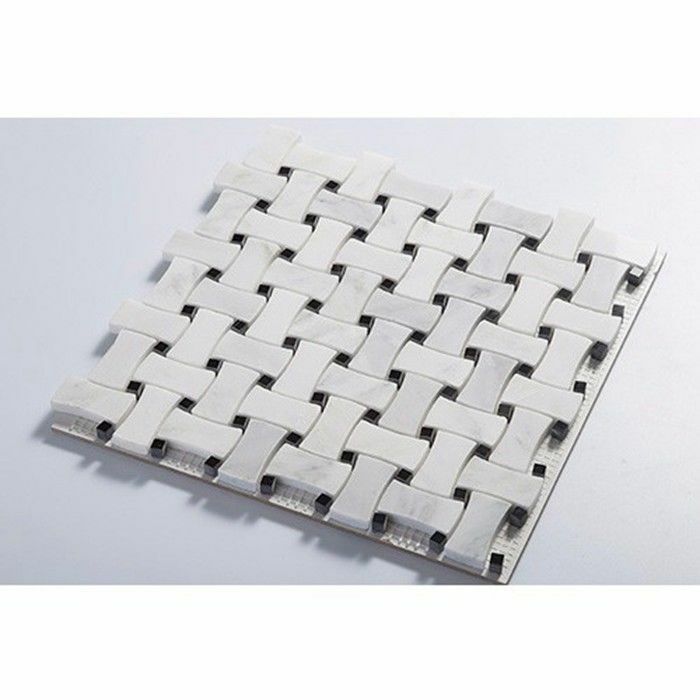 We maufacture products ourself which guarantees a competitve price and product variety.